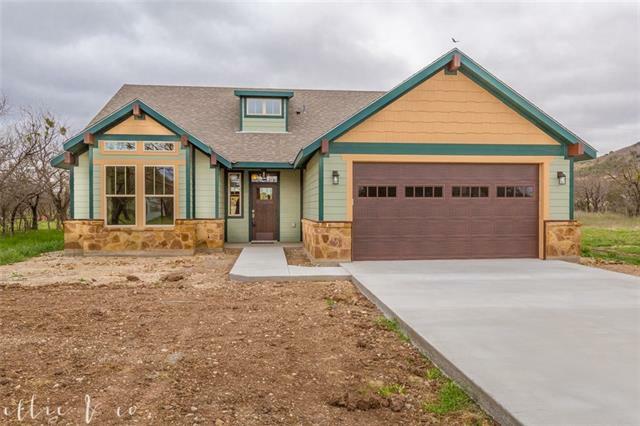 All Ovalo homes currently listed for sale in Ovalo as of 04/24/2019 are shown below. You can change the search criteria at any time by pressing the 'Change Search' button below. If you have any questions or you would like more information about any Ovalo homes for sale or other Ovalo real estate, please contact us and one of our knowledgeable Ovalo REALTORS® would be pleased to assist you. "Room for everyone, plus room to roam. Your own private retreat with 360 views from your wrap around porches in this gorgeous 3 bedroom, 2 and a half bath main house. This spacious and custom built home is over 3100 square feet with so much attention detail and extras in this home including bamboo flooring, custom hickory cabinets, soapstone counter tops, commercial grade vent a hood, gas range, commercial stainless refrigerators, huge master suite, office that could be 4th bedroom. 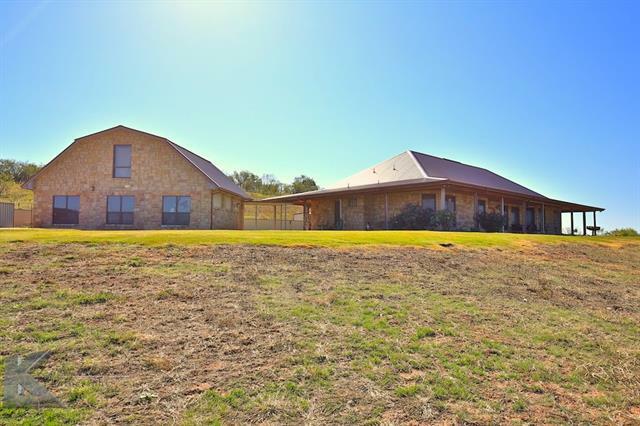 This house ha"
"Beautiful new Barndominium perched on 50 incredible acres located south of Abilene in the Jim Ned school district. 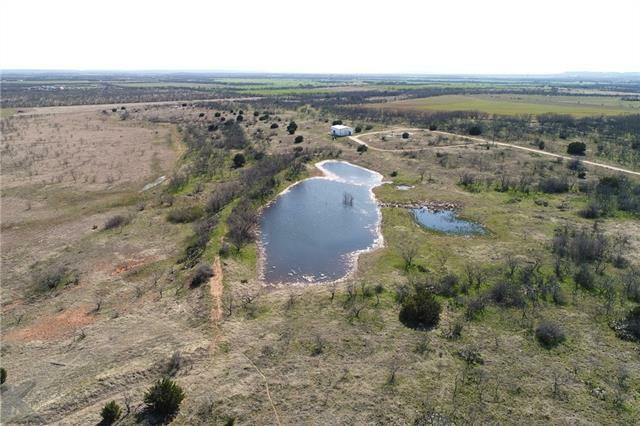 Acreage includes tanks, many trees, amazing views and more. There is a large tank on the north and another tank toward the rear of the property just behind a clearing made for a new home site. This 1B 1B residence with a 9'X19' loft boasts an open floor plan. The concrete white washed floors add elegance to the already immaculately decorated home. 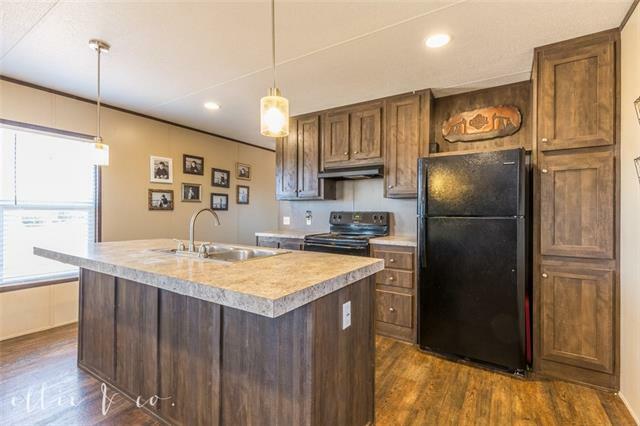 The kitchen has marble counter tops"
"Custom built Craftsman style home in the quaint town of Ovalo with local artisan touches. Beautiful views off the back porch and out the master bedroom create a serene environment. Home office or second living area has a vaulted ceiling, built in bench seat and a custom transom window over the door. The wood burning fireplace adjoins a bench that has been rocked to match on one side and a built in on the other. Luxury vinyl floors are soon to be installed throughout the house. 2x6 walls, foam in"
"Owner related to Agent. Country living at it's finest. 30 beautiful acres with views that go on and on. The property is lined with oak trees along the hwy to provide all the privacy one might desire. Deer visit frequently and can be seen from the windows of the cozy house. The home has 3 bedrooms and 2 bathrooms with a spacious living area. It is decorated in an adorable farmhouse style. It would make the perfect home for someone looking to get away from the city lights or a great place to live "